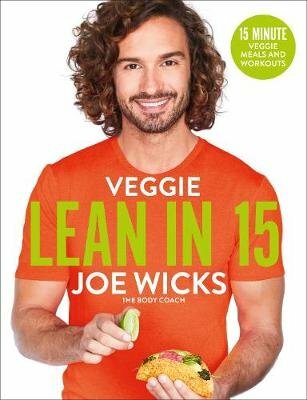 The first veggie cookbook from the nation's favourite healthy cook and fitness sensation, Joe Wicks aka The Body Coach. Get ready for Joe's vegetarian take on Lean in 15: The Shift Plan, which is the bestselling diet book of all time. Inside are a hundred flavour-packed vegetarian recipes, many of which are also vegan, plus three exclusive Body Coach HIIT workouts and a bonus abs workout. From Smoky Sweet Potato Chilli to 'Creamy' Butternut Pasta, Veggie Lean in 15 features a fantastic range of meat-free dishes, all prepared in fifteen minutes flat. The recipes are ideal for full- and part-time veggies, as well as those wishing to cut down on eating meat in a healthy and delicious way. There are also plenty of make-ahead ideas to get you prepping like a boss in no time at all. Joe has more than four million followers on social media where fans share their personal journeys towards a leaner, fitter lifestyle. The Lean in 15 titles won platinum and gold awards at the Specsavers Nielsen book awards and all of his books have been non-fiction number one bestsellers.